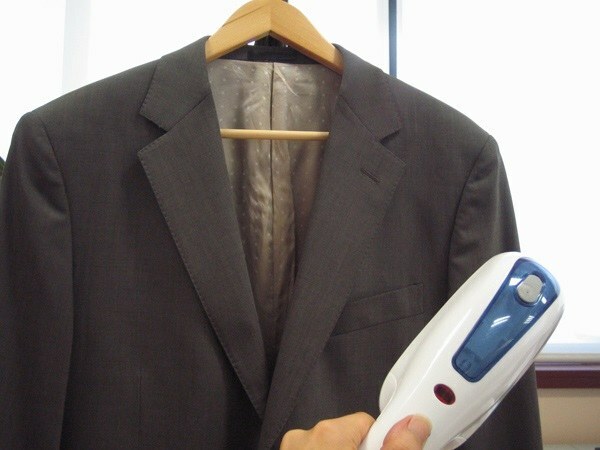 Steam iron – is a device that quickly and efficiently smoothes even badly crumpled tissue. However, many people prefer this special iron steamer clothing, believing that it works more efficiently. This is only partly true. Which is better: iron or steam generator? Clothes steamer is a device consisting of a steam generator and a special water tank. If you compare such a device with a steam iron, its main advantage lies in the fact that to iron clothes using a steamer directly on the rack. In the process of Ironing the cloth is not in contact with a hot metallic surface (as in the case of iron). Steam enters the material and gently straightens it. In addition, the steamer smoothes silk and synthetic fabrics. It is irreplaceable in case if things have complicated cut or a very delicate fine structure. But with materials such as linen or cotton garment steamer can not always cope – it is better to use the iron with the function of smoothing the ferry or with the so-called steam blow. Of course, there are other details: if, for example, a typical men's shirt is not difficult to smooth with steam just a couple of seconds, the trousers will have to iron it with a steam iron. Although many manufacturers of steamers and special clips for pants, but, as practice shows and numerous customer reviews, they are ineffective. Not to mention that the use of the steamer allows you not only to quickly smooth hanging curtains, tucked the blanket or refreshing already worn clothes, but also gives you the opportunity to get rid of smell of things: cigarette smoke and other not very sophisticated fragrance. In addition, if you believe the manufacturers, the steam is able to remove slight contamination from clothes without using washing. In that case, if the spot is very big and old, you can first use the steamer, then wash the thing in warm water without the use of special stain removers – the dirt goes away instantly. But what about the iron? To talk about what is a steam iron, it is not necessary, however, its main strengths and weaknesses deserve special attention. 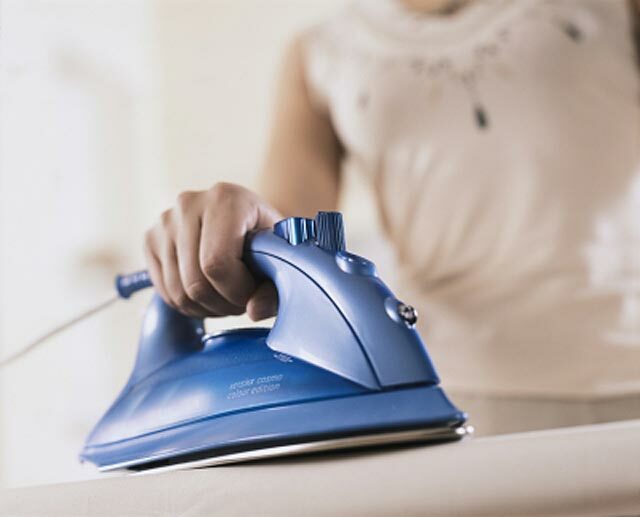 The main disadvantage of steam iron is obvious – the need to use the Ironing Board (to constantly assemble and disassemble it), which naturally takes time. In addition, irons with shot of steam function has great weight, that is, their application requires considerable effort. However, iron is indispensable when Ironing leather or heavy fabrics and trousers with arrows. Also note that using a conventional steam iron can be perepadet lot more things at one time than with the use of the steamer. And steamer and iron have their advantages and disadvantages, so if possible, it is best to acquire both of these device. But those who are still planning to choose one or the other, should give preference to the traditional steam iron, which is able to perform more functions, respectively, will be much more useful in the economy. Suddenly turn off the power supply, broke the iron or do not exist in a hotel room, and the Ironing Board lying unironed shirt. Such situations are quite common. There are several solutions to the problem, which eliminates the need to smooth things a hot iron. Buy special steamers, which can quickly, efficiently smooth the most difficult creases in the shirts and other light clothing. Moreover, these steamers come in a variety of volumes, from large to miniature. Small steamers can take with you on business trips, on vacation. They can easily fit into a travel bag and help in difficult conditions quickly give the clothes a fresh aesthetic appearance. Some travel models are fitted with batteries. This steamer in an emergency it is able to replace iron and iron a shirt. In a small bathroom, create a steam room. To do this, run a hot shower, directing it to the bathroom wall so that water will flow into the container. On the contrary hang on the shoulders of the shirt. The bathroom door close. Ten minutes in steam bath good smooth shirt. It will be a little wet, but it dries quickly. Of floral spray on a shirt, put on a hanger, spray a little bit of moisture. Let it hang for ten minutes to sweet smoothed out and put it on. You can moisture are different, if there is no spray. Moisten hands in water and quickly iron their shirt. Wearing a slightly damp thing smoothed even more. The mixture of wrinkles can be strengthened by adding two tablespoons of vinegar and a teaspoon of fabric softener. If, however, the lights in the house or in a hotel room there and the problem is only that you have no iron, you can iron the shirt other hot items. For example, a hot light bulb, and the sleeves of the shirt can Pat a powder pad. Be careful, do hot objects fast motion, so as not to burn the light fabric of his shirt. If you often wear shirts and iron them in no time, buy cotton fabrics with synthetic yarns. These shirts do not require Ironing and quickly smoothed themselves, if, after washing hang them on individual hangers.